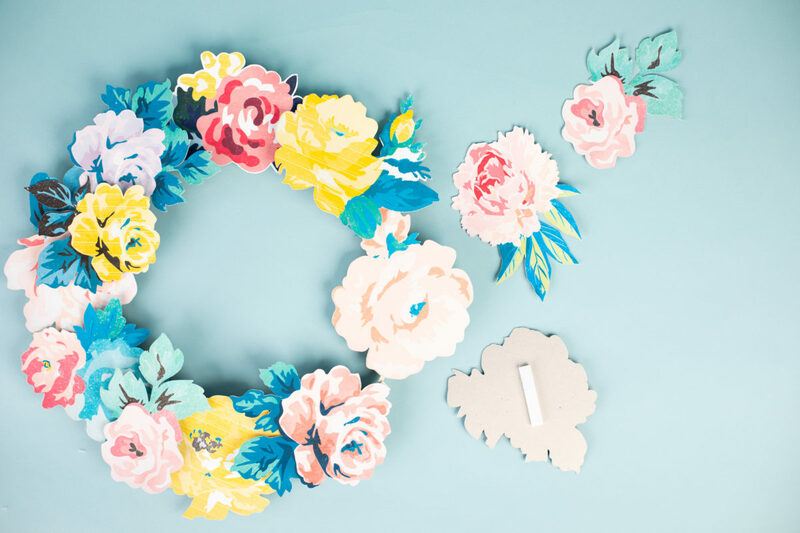 I saw all these beautiful flower illustrations on the Silhouette Design Store and thought they looked so lovely all together, so a wreath was the perfect application! 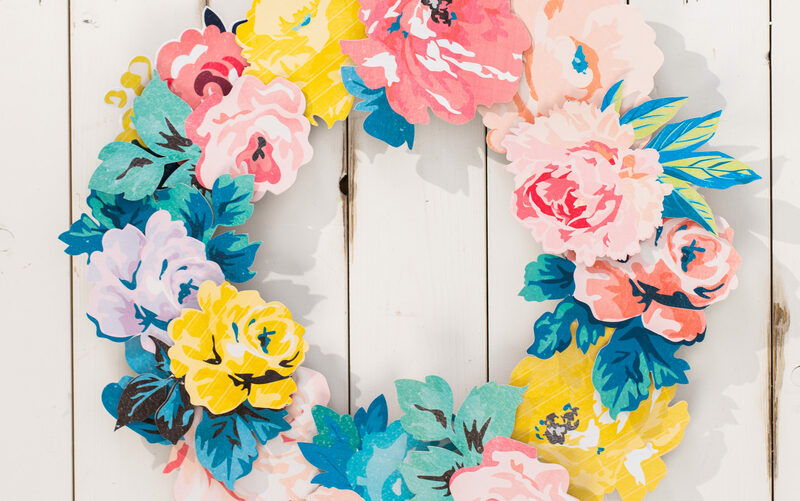 The method is very simple but creates a bold and bright statement for your front door. Sticker paper and chipboard are essentially all you need. Bring on springtime! 1. 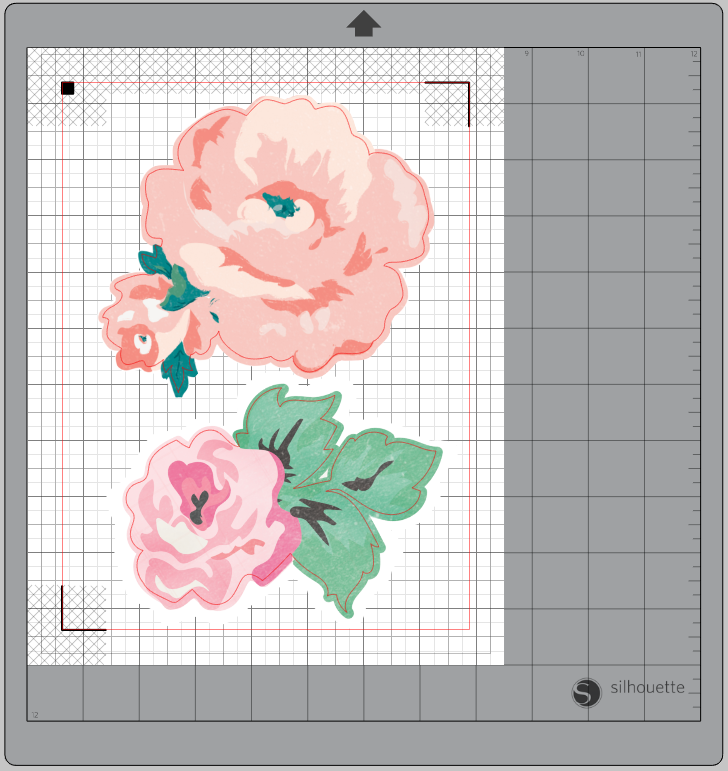 Download the flower designs mentioned above and open the designs in Silhouette Studio®. 3. Load your printer with white sticker paper and print your designs. 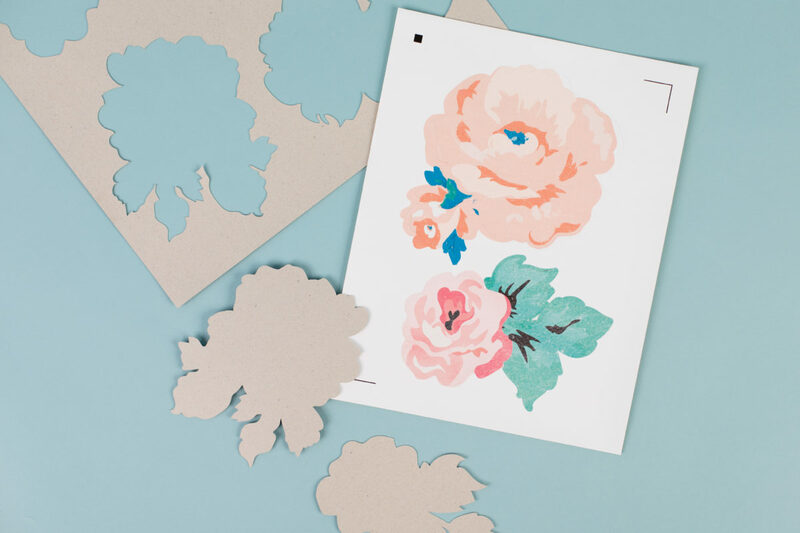 Remove the sticker paper from the printer, adhere it to a cutting mat, and load the mat into your Silhouette machine. 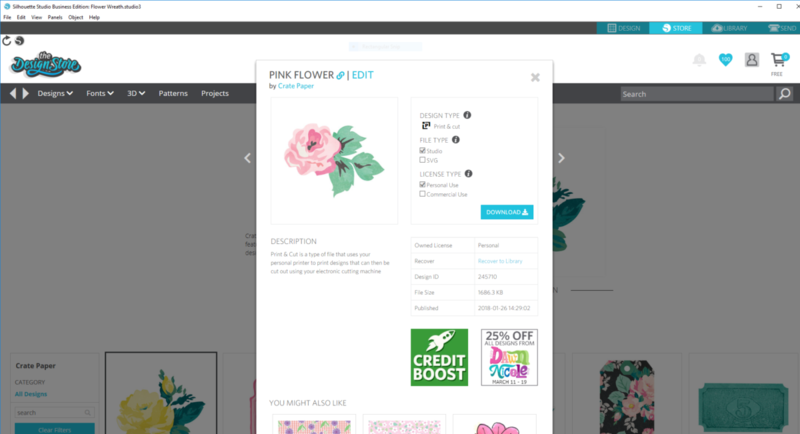 Select “Sticker Paper, White” as your material and click Send to cut out the designs. 4. 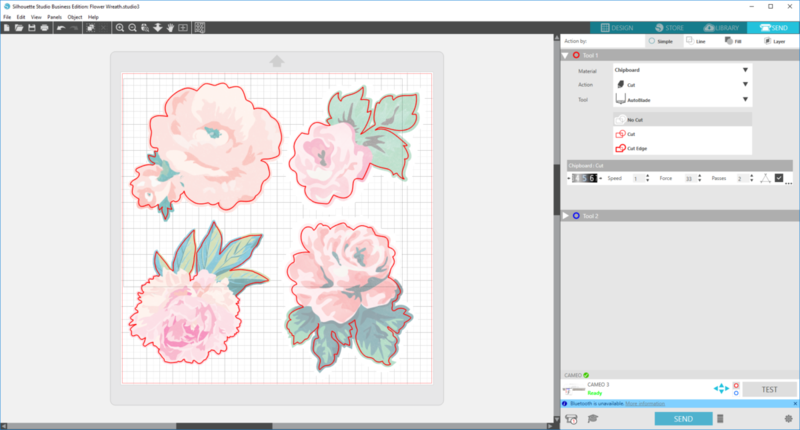 Repeat the process of printing on sticker paper and then cutting the sticker paper with all the remaining flower designs. You should have 12 flowers in all. 5. Now cut the same flower designs out of chipboard. 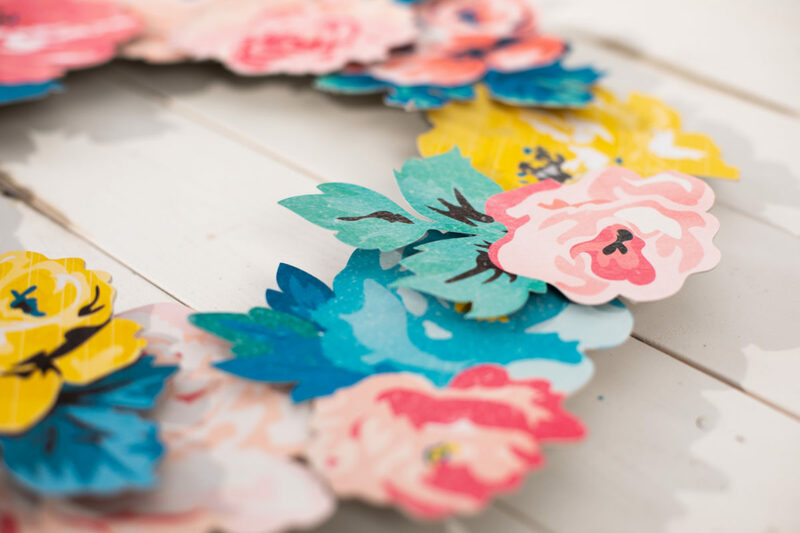 Doing this will allow us to make the flower stickers thicker and stiffer to create a more sturdy wreath. 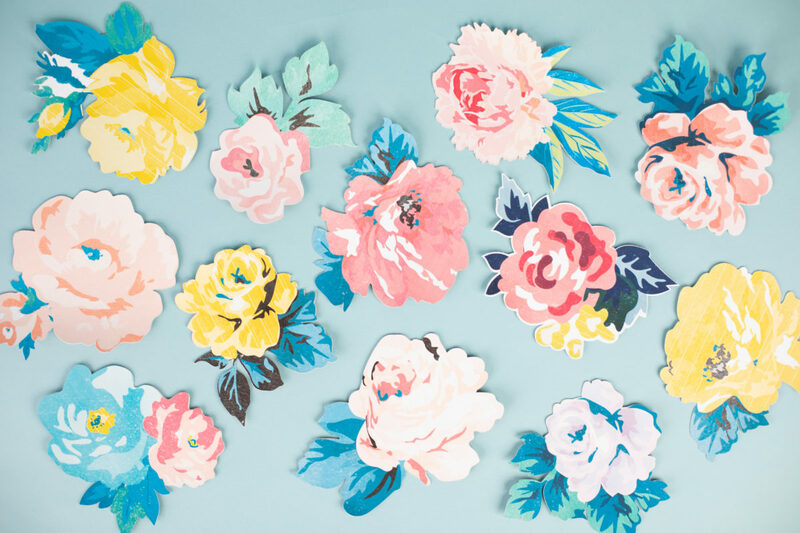 I fit 4 flowers on each 12-by-12-inch piece of chipboard (I used 3 sheets total). 1. 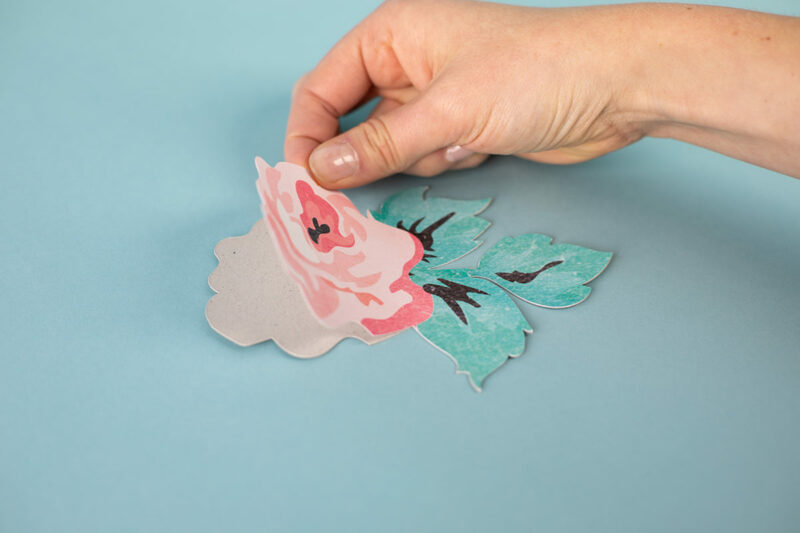 Match the flower sticker to the correct chipboard flower, remove the sticker backing, and adhere the sticker onto the chipboard. 3. 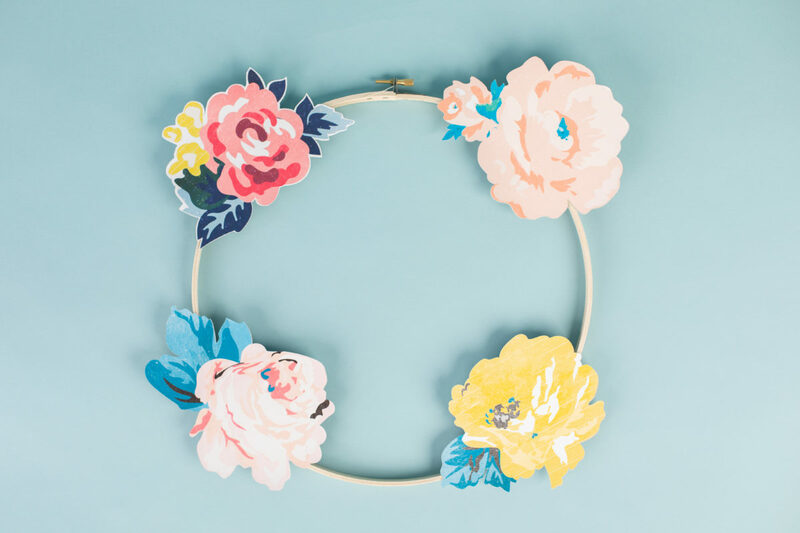 Then begin adhering the flowers onto the embroidery hoop or wreath base. 4. Start with the four corners, and add more as you go. 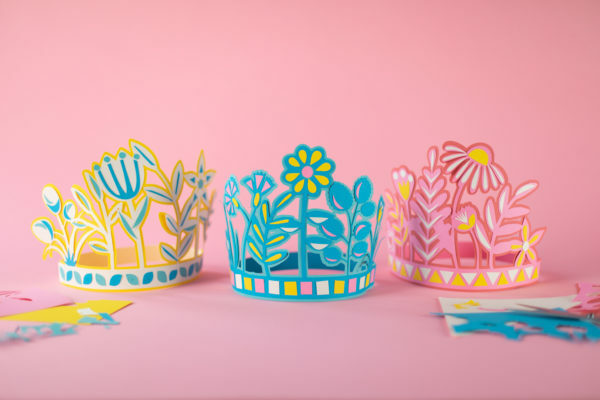 Use foam mounts to create dimension and levels between the flowers. 5. 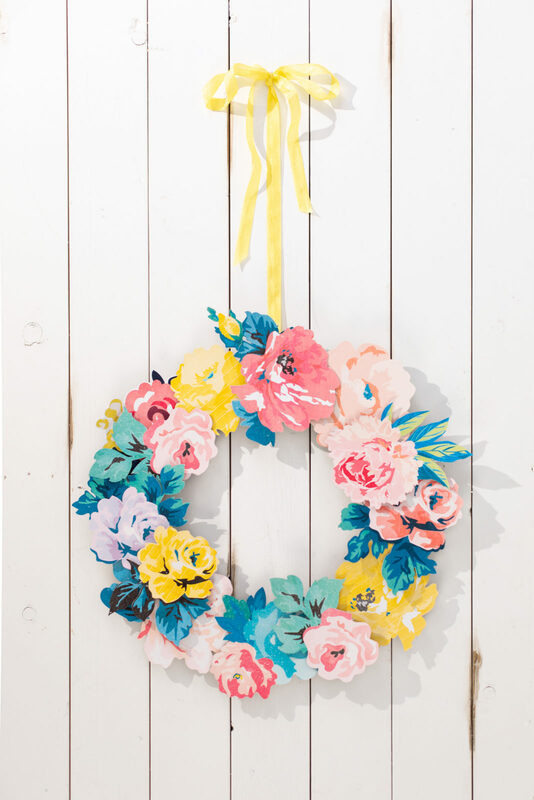 Once you’ve arranged and adhered all the flowers, use a ribbon to hang up your wreath on your front door to welcome in spring!